3rd place and a superb team effort in the second round of the National Arena League, which sees us equal 5th in the table. Wow, what a fantastic night’s swimming. The sheer excitement left me feeling exhausted! The team spirit was very high and the support for their teammates excellent – I had nothing but good feedback from all of the team managers. Elmbridge Phoenix were always going to win, they are a strong team. We knew too that it was going to be close against neighbouring club Worthing and with them pipping us by just one point it was nail biting right until the end! In the opening race Jessie Brown set the tone for the night with a superb 5 second PB on her 200 IM, finishing 2nd in 2:27.40. We had 7 wins, 14 second places and 7 third places. Individual 1st places came from Ed Clark, Jess Frayne, Matty Smith, Ella Thornburg and Madi Walker. The 13/under boys Ed Clark, Ollie Harvey, Euan MacLeod and Matty Smith did the double again, winning both their relays. 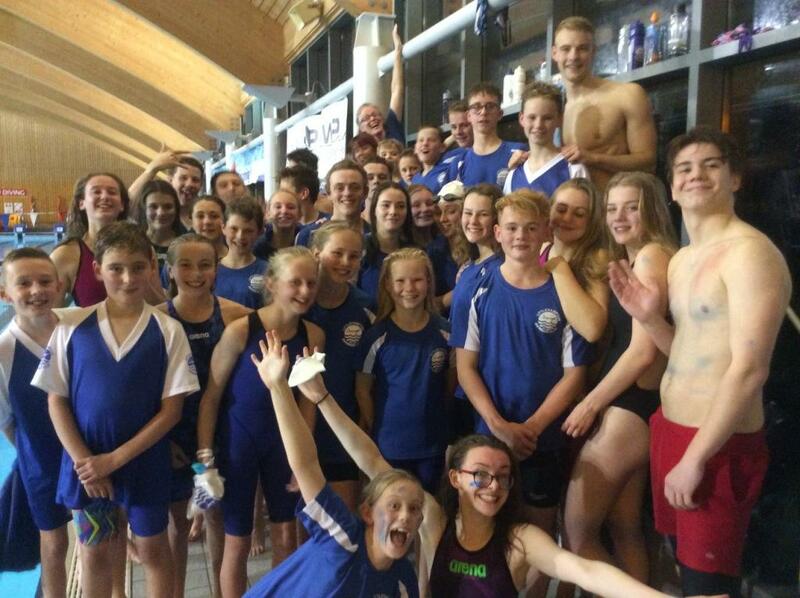 Sam Munro sealed two county qualifying times, whilst Jessie Brown, Ed Clark, Ollie Iden, Will Le Merle, Ella Napier, Abby Smith, Matty Smith, Ella Thornburg and Madi Walker all improved their county entry times. More PBs came from Lewis Cox, Ethan Lecuyer, Euan MacLeod, Jack Paveley-Ellis, Abi Pendleton, Olly Randal, Tyler Whitcombe and Max Williams. This was an overall PB rate of 62% – not bad just a couple of weeks after the 68% at winter counties. Congratulations to every one of you – what a fantastic team! Thank you to everyone who helped at our host gala and made it such a success.